The oldest mosques in Egypt and Baghdad were oriented to Dedan, not Mecca. Islam claims that Mecca has always been the sacred center of that faith system. 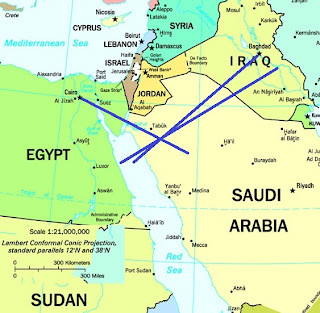 Yet the mosque build by Mohammad in Medina was aligned to Jerusalem. Later the alignment changed to Mecca. Dedan was home to an industrious Afro-Arabian people who had close association with the Joktanite clans of Arabia and the peoples of Raamah, Sheba, Ophir, and Kush. The Dedanites were famous as traders and caravan merchants. The regions where they did business were rich in gold, copper, onyx, and fragrant resins used for making incense and perfumes. Isaiah 21:13 speaks of the "caravans of Dedanites" and Ezekiel 27:20 speaks of Dedan as supplying Tyre with precious things. They traded in spice, ivory, incense, and textiles with lands as distant as India, Cambodia and China. They probably also traded in horses which were bred in Sheba. They traded in copper from the 4000 B.C. mines in the Air region of Niger where there are rock drawings of chariots, evidence of early copper smelting, and copper weapons. The Joktanite clans are related to the Dedanites and to Abraham's Horite Hebrew clans. 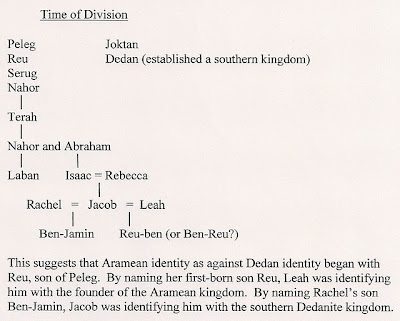 Joktan is the name of Abraham's first born son by his cousin wife, Keturah. In Hebrew Keturah (qeṭûrâh) refers to incense. Keturah resided in Beersheba, at the southern boundary of Abraham's territory in Edom. This was a stop of the incense road that the Dedanites traveled. Genesis 10:7 tell us that Dedan the Elder was a grandson of Kush by his son Raamah. 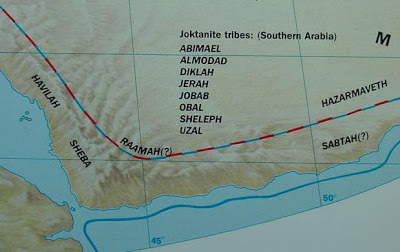 Raamah was Nimrod's brother. Raamah settled in the region to the southeast of Dedan while Nimrod built a kingdom in the Tigris-Euphrates River Valley. 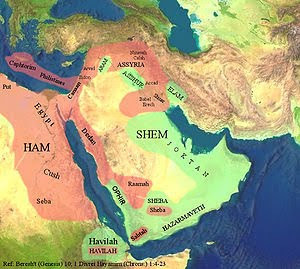 Genesis reveals a kinship connection between the Afro-Arabian Dedanites and the Afro-Asiatic Arameans. 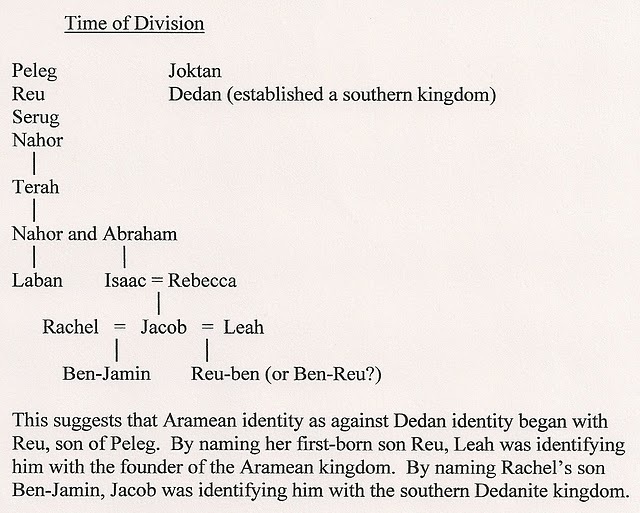 The separation of the two groups in the time of Peleg and Joktan was territorial only, as the ruling lines continued to intermarry. 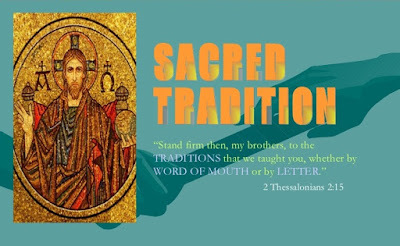 Dedan the Younger was the son of Abraham's first-born son Joktan (Gen. 25:3). 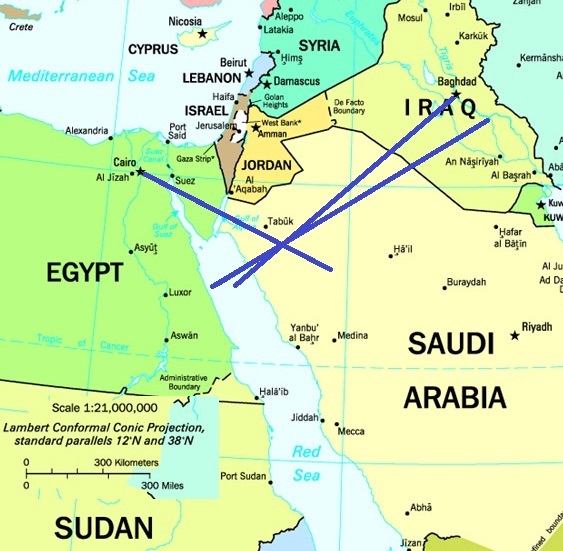 Most Arabs are descended from Abraham through Joktan. He is remembered by Arabs as Yaqtan. Josephus knew him as Joctan and his name is preserved in the ancient town of Jectan near Mecca. Related reading: The Gold of Ophir; Kushite Gold; Peleg: Time of Division﻿; Biblical Sheba and East African Settlements Linked; Who Were the Kushites? ; Afro-Asiatic Metal Workers; Was Keturah Abraham's Wife?